I am back with the first Edition of Fab Bag for 2017. This time the theme is Bring It On’ and the bag is a hot pink colored bag with a magnetic snap. 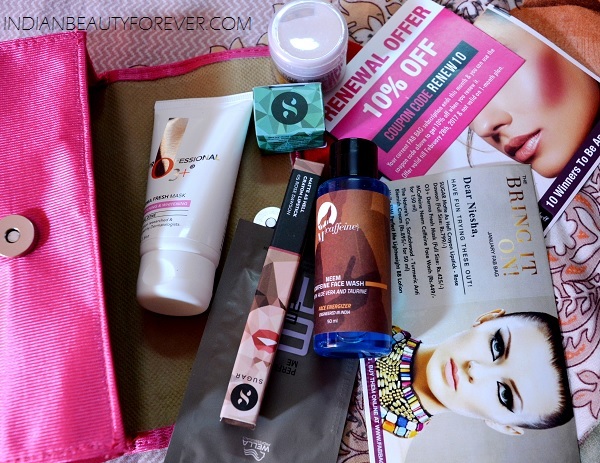 I loved it and it can be quite handy to carry your beauty essentials. Now let’s see what I have got this month. 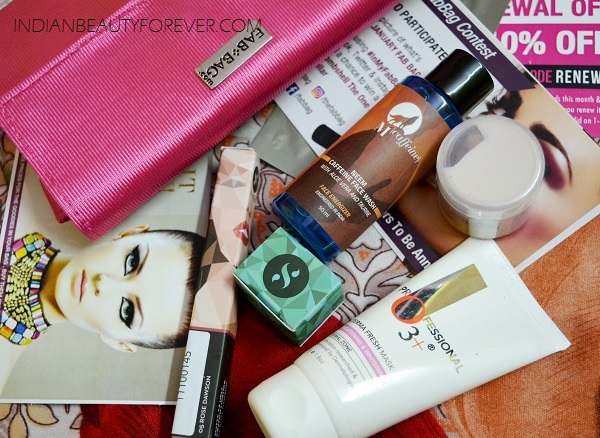 These are the products that I got in this month’s Fab Bag. 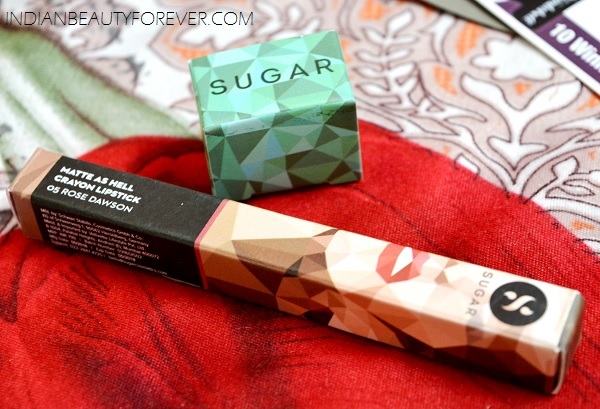 So, this is the product that I chose when I got that mail where I can opt for the lip color of my choice. I think I could have gone for the Mary Poppins as well but this is also a subtle pinkish neutral color, so I liked it. By the way it costs 799 INR. Isn't that great that I got a 799 worth of product in a bag costly 599 rupees. This is also a full sized product that costs 425 INR. 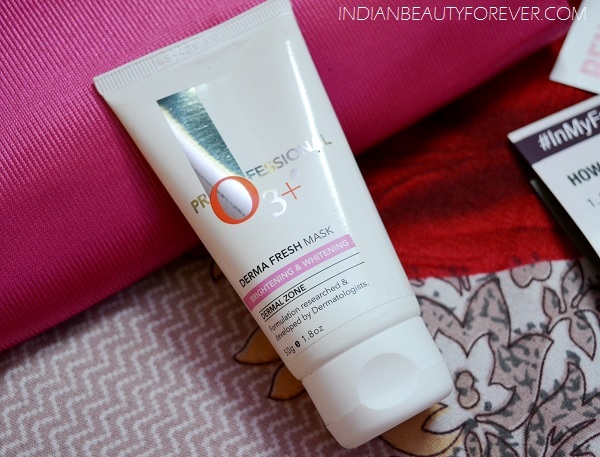 I am definitely going to use this as I like face masks since my skin is losing its natural sheen. Winters you see! 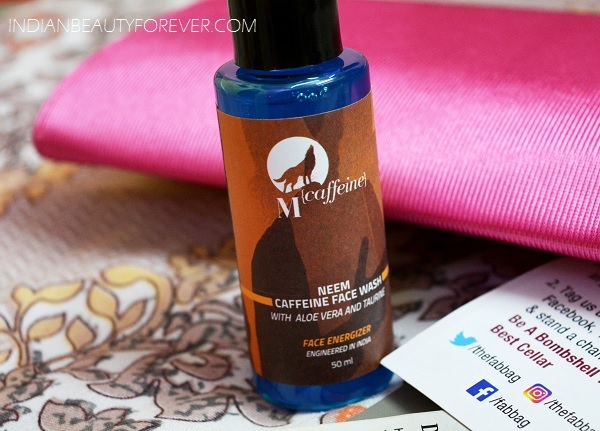 MCaffeine Neem Caffeine Face wash is a small 50ml pack. Full size 150 ml pack is for Rs.499. I really don’t have any problems in using a new face wash till the time it’s a neem face wash. 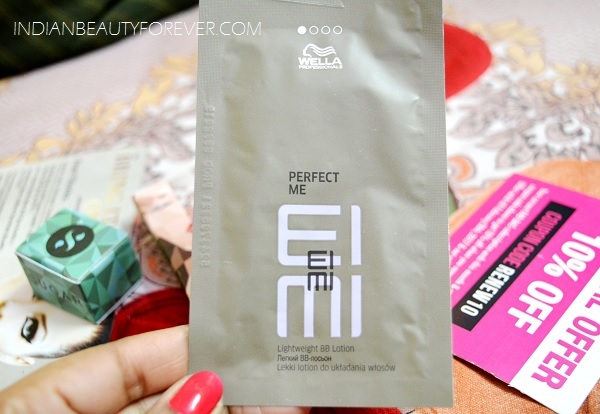 This is a small sachet pack of a BB cream by Wella. I will use this the next time, I feel the need to use my BB cream. I guess if that fares well then I can also buy a full sized pack of this since BB and CC creams are good for everyday sue and are not as heavy as foundations. 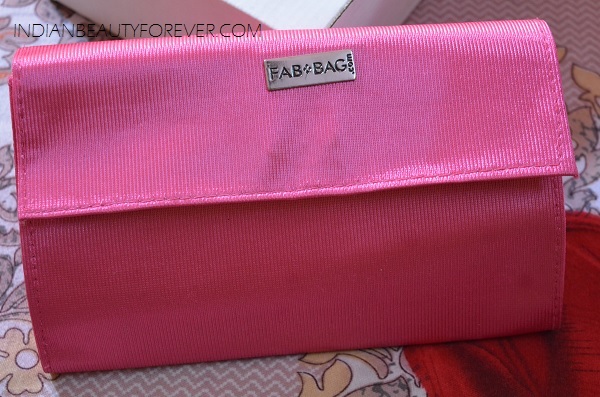 So, Overall as I always say Fab Bag has not failed to deliver a brilliant bag. If you will notice, the Bag is for 599 INR per month and the products comes out to be rs 1500 plus, in addition of the bag too. So I feel, it’s a great bag. I liked it!! I will recommend it to you too if you liked the products for you too. 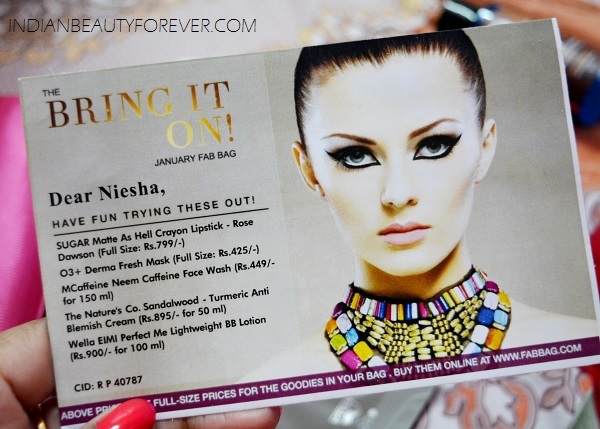 You can get this from the Fab Bag’s official website and get a subscription for yourself or just gift it to someone.